LAS VEGAS – In the Jules Verne epic Around the World in 80 Days, Phileas Fogg and company have no choice when faced with a challenge to traverse the globe faster than anyone has before – they must head to the clouds. And so too must human resources practitioners and the IT teams that support them, says Mike Ettling, the president of human resources at SAP. Evoking the Verne classic throughout his keynote that opened SAP’s SuccessFactors conference, the message was made clear. While SAP’s SuccessFactors software is currently transitioning to run on the company’s HANA in-memory database platform along with the rest of its products, there is currently no available on-premises option for the HR suite. While SAP’s legacy HCM offering is still available for companies not ready to move into the cloud, SAP is clearly focused on its rapidly growing SuccessFactors business that it acquired in 2012 and has scaled to more than 4350 customers. That leaves SuccessFactors as the only SAP product unable to run on its S4 HANA for on-premises deployments, notes Holger Mueller, principal analyst at Constellation Research Inc.
Jane Bemis, VP of enterprise HRIS at Disney, presents at SuccessConnect in Las Vegas. 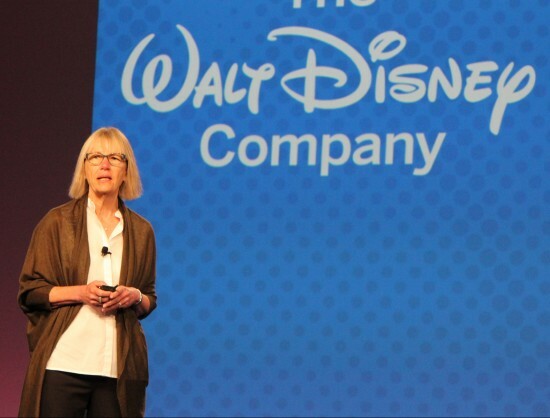 When The Walt Disney Company started down the path of implementing SuccessFactors, it wanted to achieve an outcome of more engaged employees, said Jane Bemis, vice-president of enterprise HR information systems at Disney. That meant an integrated digital architecture was required. Anywhere, Anytime, Any device: To create an addictive and compelling user experience on any device. A consumer-like experience that would boost engagement. Provide a career-supporting profile view that would tell employees their story. On-going technology currency: A platform that is continuously advancing to reflect the evolving digital life of the employee. Have frequent new functionality releases. Globally available, locally configurable: Connect talent worldwide while also supporting individual businesses. Deliver consistent quality brand and experience across the company. Integrated processes and technology: HR leaders can get a holistic view without navigating to separate talent management applications. 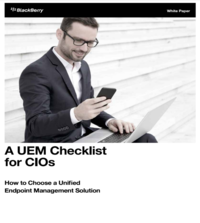 Promote common data and process to eliminate silos. Disney plans to deploy several modules of the SuccessFactors suite eventually to manage its 180,000 employees in 45 markets around the world. So far its done the talent management suite and the learning suite. The learning deployment took the form of an internal website offering on-demand education. The site features content like a leadership speaker series that features video with many different leaders from across Disney’s enterprise. 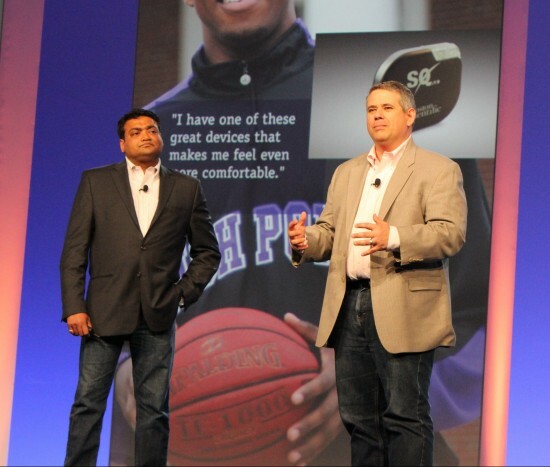 From Boston Scientific, Rich Adduci (right), CIO, and Nitin Mattal, head of HR, present at SAP’s SuccessFactors. Boston Scientific is the world’s largest medical device manufacturer and operates in 110 countries, so when CIO Rich Adduci proceeded with an overhaul of the firm’s HR technology, he knew it wouldn’t be without a lot of work. In addition to SAP, Boston Scientific also worked with Accenture as an advisor on how to transform their HR department and processes. Talent: Establish external and internal talent pipelines, enhance college relations and diversity recruitment, expand early career development offerings, emphasize development of internal leadership. Culture: Promote organizational speed, promote employee engagment and work/life integration, foster culture of high performance and inclusion. Capability: establish workforce analytics, promoted engagement through total rewards inititives, improve operational management through increased strategic engagement with business leaders.